Out of the most common questions we get over the years, the number one question that we always get goes something like this: “Which is better a university degree or certification?”. It is such a divisive question and framing it that way we can’t answer it simply without qualifying it. We can only give our opinion. It is our opinion based on personal experience and based on the lives of thousands of people that we have taught over the years. There is no doubt that education, in its own right, has great value; regardless of how you get it. Whether education comes to you through a university degree or certification programm, it has value. But what we have seen over the years of education is that university itself has a general study feel about it even though you have a specialty in your degree program. I had to ask myself when I first started my career; do I go to college and then to university or do I get my Cisco CCNA, CCNP or Microsoft MCA, or CompTIA A+ and Network+. I am assuming you want to break into the Information Technology field. Or you want to accelerate your career further into the IT field. If you’re on a helpdesk you have to consider either one of the above certifications if you really want to jump start your career. The question is whether you go through the process of getting a university degree or do you go via the process of getting your certification namely CCNA. The answer is really simple. You have to analyse and decide what will really get you the job faster and the most bang for your buck! So first of all let us start with your main goal. For me, when I was faced with this decision, my only goal was more money and I would imagine that’s pretty much everyone primary objective including yours. So how do you get a higher salary or income. You accelerate your career and move up the ladder. You become more skilled and you get into a better role that offers a higher salary, got it! So that’s our goal, and we’re comparing college/university degree and IT certifications. There are three categories we will compare here; Cost, Time and effort. First let’s look at the cost of a university degree. Obviously, it largely depends on where and what kind of university you attend. Are you going the online route or are you going to a brick-and-mortar university? Private college or state-funded university; factors like these will affect the total cost of your university degree. Have you already completed part of your degree course? And are you just finalising your bachelor’s degree? A lot of variables in play here, I’m going to try and simplify it because obviously the length and tuition can be factors for how much your degree costs. A four-year degree it can be anywhere upwards of three thousand pounds a year for an accelerated program which is all online and you can do it at your own pace. Or it can be upwards of eight to fourteen thousand pounds a year with a standard brick-and-mortar university or its affiliated college. Even the other online institutions like University of Phoenix and similar universities. Now, how much is the CCNA there are probably a little more variables when you consider the cost of achieving the CCNA certification. With this you have got a ton of different study materials and then you have a cost of the exam itself. And people learn in different ways, I’m going to focus on something that’s near and dear to my heart and that is self-study. It’s the guys who come home after work and hit the books and watch training videos. We’re going to focus on the cost of all this training, but if you go like a classroom you can go to Cisco Networking Academy or you go to a college for a course. And all this will cost you thousands of pounds too. We’ll start with the study materials, the options are numerous, but I’ll just take my favourite that I used. The first is CBT Nuggets, so what does its subscription cost? Well, it’s not cheap, it’s about a thousand dollars for a year. You can even do six months or you can do a month by month payment option. With month by month it’s like eighty-four dollars a month. Then you have your books which I highly recommend getting a book which you can follow along. Some people don’t do well with books, that’s fine for me. I found it beneficial to use both certification books and training videos. The CCNA official certification library that give you certification books for both exams costs about 90 dollars. And then is the lab for practising for the CCNA exams. Again this can vary a lot. You can find lab kits online on Amazon or Ebay for around three to four hundred dollars (£250-350) that will give you everything you need to study and complete your CCNA. And now the exam cost which was recently increased to three hundred thirty dollars for the composite exam. So if we add this to the premium study material and content and that’s going to end up being about $1700. If we take this figure of $1700 for your CCNA, that’s including all the study material; including the exam. Again there are a ton of factors which may end up being cheaper than that, because you can go a little cheaper on the lab. Another option is to go with GNS3 which I highly recommend. All you need is Cisco iOS, which does cost money but you can find some of the images online. Like I said you don’t necessarily need to purchase the paperback books and even with CBT Nuggets you could just do six months of subscription. You could even just do month-by-month and try to complete it within two to three months, that way you can do it fast. Whatever the case, we’re talking roughly two thousand dollars to complete your CCNA vs twelve-thousand dollars to complete a bachelor’s degree in a college or university which obviously is really a bare minimum. It could cost you a lot more depending on who you are, where you are, and what you are doing. But I think it’s safe to say that the CCNA wins the cost bracket. As we have covered costs, let’s look at another factor which is time. And as you know “time is money”. I think time is the most valuable commodity in the world, so let’s look at time required to get a degree first. Let’s assume again that, you have a head start with the accelerated program. Such that you already have some college credit hours or maybe you had some certifications that you could trade-in for some courses. So let’s be generous and say two years to complete your bachelor’s degree. That’s pretty fast for most people if you’re starting from scratch or just out of high school. Four years are required for a standard university degree. The time required to accomplish your CCNA is more variable depending on individuals. But I believe that anyone starting from scratch, who has had no experience can complete their CCNA within six months. I know they can do it starting from nothing. But those with some experience can get the certification much faster than six months; within three months. Or maybe even less if you’ve already done a lot of the stuff in your current job. Let’s say for best-case you can do it in two to three months. And for those starting from scratch can do it within six months. Then again let’s be honest sometimes life gets in the way. Sometimes your work schedule is crazy and you’ve got a family, you have got a baby on the way. In this case let’s say it takes you a year to complete your CCNA, because it can happen and I’ve been there. You just can’t study or you are too busy so that’s where in worst case it takes you a year to get your certification. So keep that in mind when deciding between college and IT certifications. What does a university degree or a certification bring to the table in terms of value. How will a degree benefit your life and your career. And how will your CCNA benefit your life and your career. So the value aspects we are looking at here is how fast will it jump start your career and get you into a job you want to be in. And get you to start making that money; money you need right now. your goal here is to get an amazing networking job or an admin job or whatever you want to do. Let’s look at how a four-year university degree get you a job. We’re talking about here is an admin job or a networking job. The short answer is no, long answer: depends. Is it likely you’ll even get an interview as a network admin with a four-year degree. Probably not, because a four-year degree shows that you have general knowledge of IT, assuming you went to a college or university for an IT degree. But it doesn’t necessarily show that you have the knowledge to complete the tasks that such a job requires. Universities have always had trouble designing curriculum to match the needs of the workforce. Whereas certifications are created by the vendors, who make the equipment, and they tend to release their updates much faster than a university can update their curriculum. It is more than likely you’re going to be up to date on the latest and greatest if you have a certification rather than a degree. Now I do have to mention this as a side note; some universities such as the University of Phoenix and even others now do offer certifications as part of their degrees. And they even put them in the final exam for some courses. That obviously does add a bit more value to your degree so do consider that. I do want to mention this that degrees are valuable; don’t get me wrong. I’m not saying colleges or universities are bad. Obviously they have great value in many other subjects, however when talking about jumping into the IT field and making some serious money it may not be the most efficient path. We are discussing “what is the most efficient use of your time and money right now”. Because if you’re like me you didn’t have time to waste and you had to jump into IT immediately. A college or university degree, for many positions in many industries is an essential requirement, and I totally understand that. But honestly from what I can tell from my own experience, most jobs in the IT industry don’t require a degree. At least to me from an admin perspective, an engineer’s perspective, software engineering’s perspective most don’t care about a four-year college or university degree. So will a four-year university degree land you an entry level help desk position that’s pretty much it. You’re not going to be able to jump into a network admin or system admin job with just a four-year degree. Will a CCNA land you an amazing job? Now for the other question; Will a CCNA land you an amazing job as a network admin or will MCSA land you a job as a sys admin. The short answer is, may be. Long answer; yeah I’ve seen it happen. It is totally possible. Is it difficult without experience? Yes, it is. I’ve got LinkedIn jobs and I get alerts every day. I like looking at what’s out there. Just kind of keeping in mind whether my skills are still valuable. And there are plenty of postings out there with a few common statements. What I regularly see is “CCNA preferred” or “CCNP preferred”. And then when they talk about a degree in a job posting, they want you to have a bachelor’s degree. But what I will say is a four-year degree or equivalent experience or they might say a two-year degree with equivalent experience. So what does this mean? It means that experience is king, and with your CCNA, nothing will guarantee you an interview more than having experience in the role you’re applying for. You may be thinking; this was supposed to be about landing a job with just your CCNA or four-year degree. How do I get experience without already having some experience. How do I get experience for a job that requires experience? Here’s the question; how do I get experience in an industry that requires experience? To get experience, it is quite the challenge. I understand what works for me and my answer is to start at the bottom. I’m talking about a help desk technician position at a junior level. These jobs are easier to land. For network admin roles my recommendation is to find a small to medium-sized company and get a position there. As small and medium-sized are big enough to have Cisco equipment or Microsoft equipment. But they’re small enough that there’s not so much red tape; that you could get your hands dirty with all kinds of stuff in the Cisco realm. And then start to move up through the ranks. So we have discussed the value of a four-year degree in IT compared to the value of CCNA. How these will help you land a really great job. We also discussed that experience is really the most important part that will help you land a help desk technician job and help you rise through the ranks quickly. It will give you the confidant start to move up or prove to your higher-ups (supervisors and managers) that you are ready to start playing and dabbling. Therefor giving you the experience which you can put on your CV. It will help you a lot and I can speak from experience, as it helped me. I started out on a helpdesk as junior helpdesk assistant. Actually I was at a very bottom and getting my CCNA was key to moving up. Experience is the key in landing a really great job. It will be the main thing in landing your first networking or sys admin job. Once you start showing your value that’s when the leadership takes notice, and that’s when their managers take notice and they start to get more responsibility. If you’re looking to break into the IT field without putting yourself into a ton of debt and you want to start making money fast I say go for certifications, that’s your best bet. I did it so it was successful for me. I know plenty of others who have done the same thing without a degree and they are also very successful. Times have changed guys, previously it used to be that you always got a degree no matter what. But the cost of the degree is now astronomical and you end up being in debt for so long it doesn’t even matter. But you get certification especially in IT you can start making some serious money more than anybody with a four-year degree. I cannot emphasize more; start studying for your certification and pick up some study materials. If you’re wondering where to start, you can take our CCNA Routing & Switching courses which will propel you to become certified with minimum effort. 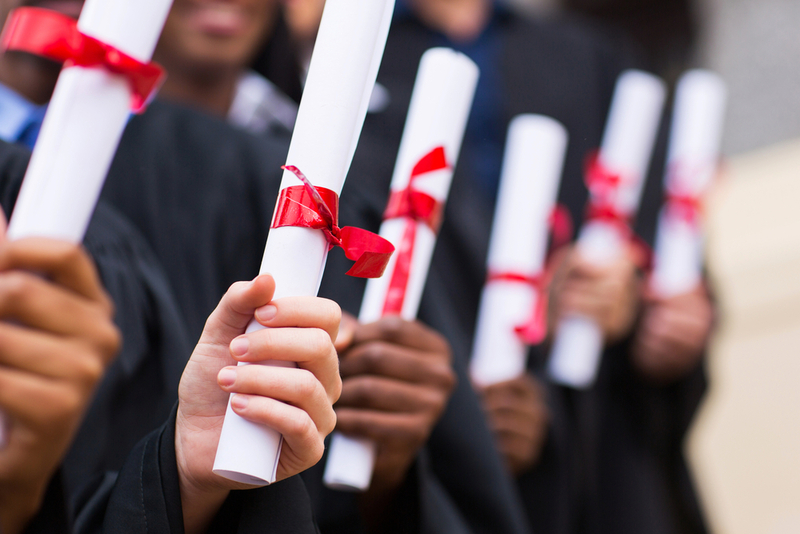 University Degree or Certification will land you a job interview? The number one reason that you get certifications and degrees and all that is for the human resources person. It’s not actually to impress the clients basically you get degrees and certifications and all that simply to get through they gatekeeper that human resources manager that hiring person that will basically get you down the road to get a job that’s why you get degrees or certifications. For example, you might have computer science as the speciality but you learn microeconomics, language, arts, how to work in Excel a lot of the general studies. But how many people with similar skills do you know who are earning a good living and have a progression path. Most of the subjects learned at the university get flushed out of people’s heads if they don’t need to use it. After you achieve the degree, it might allow you to be eligible for a job application. You have the university degree and there’s some organizations particularly in government that you just can’t get past their glass doors without having a university degree. However, is this a door-opener forever? You won’t have to contemplate for long before you can come to an answer. It is very different with certifications and you can quickly learn real-world relevant stuff that applies directly to modern jobs, because this has the luxury of being constantly updated all the time. And that’s how they design the certification programs. As we explained earlier that Cisco’s certification expires every three years. That’s why these are targeted direct on exactly what people need now versus university degrees. Over the years, we have seen hundreds of people that are truly amazing and have amazing talents but are stuck doing jobs way beneath what they could be. That’s because, they believe the only way to get out of their situation is to invest thousands of pounds/dollars and years of their life going after a completely irrelevant university degree. Over our years of training we have seen literally hundreds of lives transformed by the opportunities provided in certification. And there is no industry like IT, where you can get in with very little in Language and Art skills and Macroeconomic skills. You can do exactly what you know and get away with it. That’s what makes IT so unique. Do I need experience for CCNP? Another question we often get is; “Do I need experience for CCNP?” meaning as you start moving from CCNA and CCNP into CCIE, do I have to have experience. Do I have to get a job or to have set up a lab? As you go up the certification ladder and delve into more advanced certifications, the exams become a lot more practical. For example to take the CCIE level exam you have to literally fly out and take the exam in an authorised Cisco exam center. The exam is based on one of the most complex networks you would have ever come across. The exam will be taken by Cisco iteself. CCNP is a certification that you don’t have to have practical experience. However, practical experience will not only give you the knowledge boost but also increase your confidence level. You can get practical experience without getting a job. And you can build your own lab and we’ll talk about that in a different article dedicated to building a lab environment. You can start off with general IT certifications such as CompTIA Network+ or Microsoft MCSA apart from CCNA. It usually is the way to go when you’re just getting starting. other certifications are great but once you’ve got a grip of things then just focus on Cisco alone.